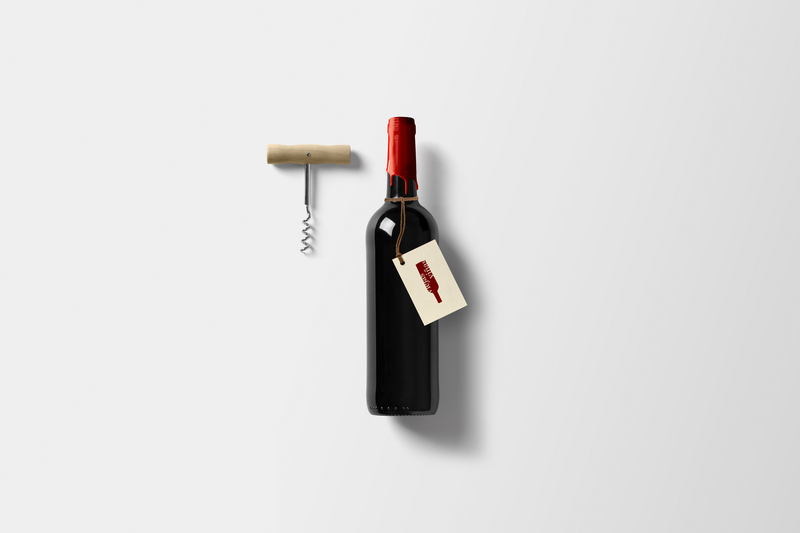 Years ago I was briefed to develop a logo and packaging for a red wine of Vinos de Madrid. Viejas Viñas is a 13,5% vol. special selection wine. One of the objectives was to give it a warm and an authentic, exclusive touch. The logo is a bottle containing the name of the wine. It’s a simple and clear logo shape, that goes in bordeaux red color. For the bottle etiquette I suggested to use a ecru white paper tag hanging from the neck; to fix it we used the rustic thin rope. The cap of the bottle is coated with the red wax. Using wax is largely an aesthetic choice. Much of the time, it’s used to create an ultra-premium look. 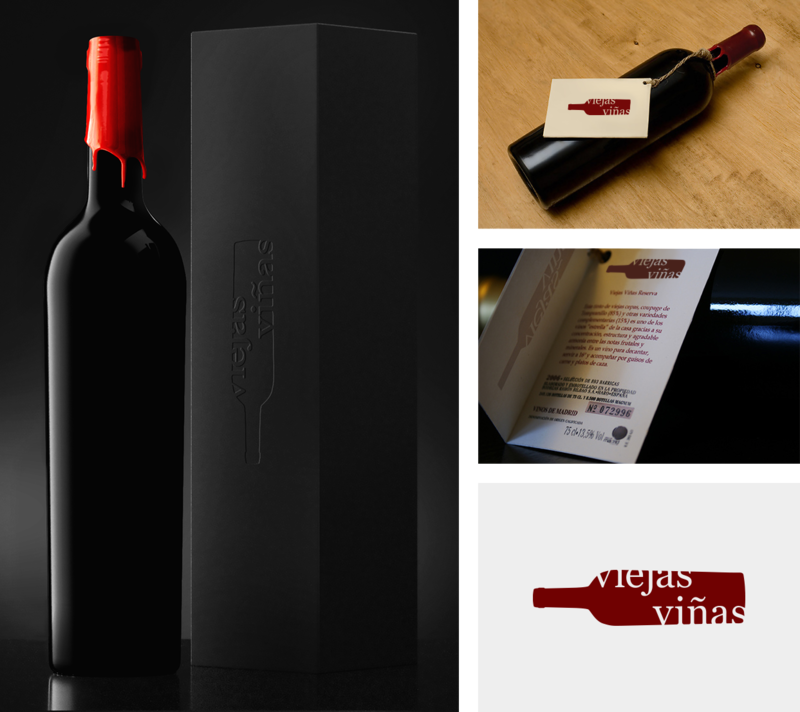 Each bottle is packaged inside a black carton box with a logo-embossing on the side.